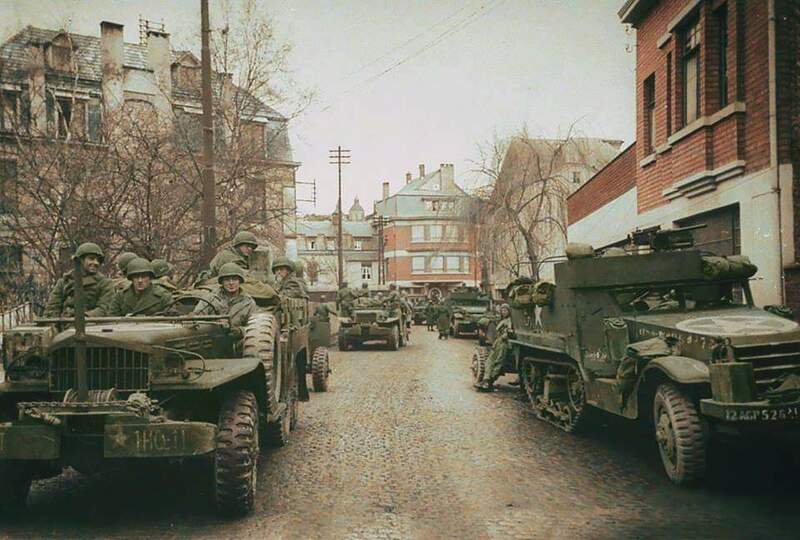 American troops from the HQ Company of the 526th Armored Infantry Battalion (12 Army Group) with M-3 Half Tracks and a Dodge WC-63 parked up in Rue de la Gare in Malmedy, Belgium, Mid December 1944. At 1600 hours, Sunday December 17, the battalion was ordered by First U.S. Army to move to Malmedy, Belgium, with Company “A” 825th Tank Destroyer Battalion attached, and to join the 99th Infantry Battalion (Norwegian) at Remouchamps en route. At 1900 hours the battalion was formed on the Aywaille-Remouchamps road and waiting to fall in with the 99th Infantry Battalion at Remouchamps. The 99th Infantry Battalion failed to show up by 2100 so this battalion was ordered to move alone at once, picking up Company “A” 825th en route at La Reid, Belgium. It was during this period that the Luftwaffe suddenly came to life, strafed and bombed roads between Spa and Malmedy. The battalion plus Company “A”, 825th Tank Destroyer Battalion, then proceeded on to Malmedy. Road conditions were bad and it was exceedingly difficult to maintain control in the blackout. En route one rifle squad half-track and one half-track with a towed 57mm AT gun dropped out of the column as a result of accidents. The 57mm AT gun and half-track, in following, took position at Trois-Ponts and engaged an enemy column of 18 tanks (Kampfgruppe Peiper), knocking out the lead tank which blocked the advance. However, the 57mm was, in turn, knocked out and four men killed and one wounded. Shortly after midnight December 17-18, a message was received from First U.S. Army that enemy tanks were approaching Stavelot and ordered one rifle company and one platoon of tank destroyers dispatched there to form road blocks and hold the enemy. Company “A” with 1st Platoon, Company “A”, 825th Tank Destroyer Battalion attached was selected for this assignment, and the executive officer was placed in command of the task force. The balance of the force continued on to Malmedy. On arrival, it immediately began to set up road blocks and defensive positions. This battalion, plus the tank destroyers, were the first combat unit to take up positions for the defense of Malmedy. The 99th Infantry Battalion arrived immediately following the arrival of the 526th and took positions in and around the town. The 117th Infantry began to arrive about daylight on the morning of December 18. The Battle of the Bulge (16 December 1944 – 25 January 1945) was the last major German offensive campaign on the Western Front during World War II. It was launched through the densely forested Ardennes region of Wallonia in eastern Belgium, northeast France, and Luxembourg, towards the end of World War II. The furthest west the offensive reached was the village of Foy-Nôtre-Dame, south east of Dinant, being stopped by the British 21st Army Group on 24 December 1944. The German offensive was intended to stop Allied use of the Belgian port of Antwerp and to split the Allied lines, allowing the Germans to encircle and destroy four Allied armies and force the Western Allies to negotiate a peace treaty in the Axis powers' favor. Once that was accomplished, the German dictator Adolf Hitler believed he could fully concentrate on the Soviets on the Eastern Front. General Anthony Clement "Nuts" McAuliffe (July 2, 1898 – August 11, 1975) was a senior United States Army officer who earned fame as the acting commander of the U.S. 101st Airborne Division troops defending Bastogne, Belgium, during the Battle of the Bulge in World War II. During Ulysses S. Grant’s Overland Campaign in 1864, Union Major General Philip Sheridan proposed an overwhelming offensive against J.E.B. Stuart’s forces. On May 11, 1864, Sheridan’s superior numbers engaged Stuart’s cavalry outside of Richmond near an inn called Yellow Tavern. While firing his revolver at Union troops and shouting orders to his men Stuart was shot through his left side by a Union cavalryman. He was taken to Richmond, where he died on May 12, 1864, at the age of 31. I've yet to watch this one but the History Channel usually does a good job with these. I've always wondered how popular tank destroyers were with their crews? Sitting in an open cupola, as opposed to an enclosed armored turret, didn't offer much protection expect for straight ahead. No question they were cheaper and easier to produce than full up tanks, I would have not wanted to go crew one of them. I've read both good and bad about them. Lighter armor but they were never meant to get close enough that it would matter. I think the open turret would offer a quick escape if one did get caught by enemy armor. December 25, 1776. The Crossing. During the American Revolution, Patriot General George Washington crosses the Delaware River with 5,400 troops, hoping to surprise a Hessian force celebrating Christmas at their winter quarters in Trenton, New Jersey. The unconventional attack came after several months of substantial defeats for Washington’s army that had resulted in the loss of New York City and other strategic points in the region. At about 11 p.m. on Christmas, Washington’s army commenced its crossing of the half-frozen river at three locations. The 2,400 soldiers led by Washington successfully braved the icy and freezing river and reached the New Jersey side of the Delaware just before dawn. The other two divisions, made up of some 3,000 men and crucial artillery, failed to reach the meeting point at the appointed time. 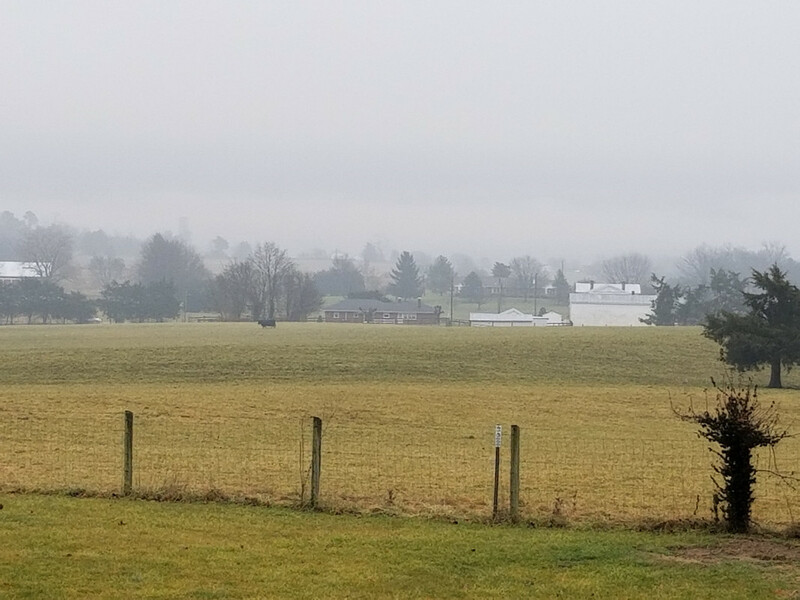 At approximately 8 a.m. on the morning of December 26, Washington’s remaining force, separated into two columns, reached the outskirts of Trenton and descended on the unsuspecting Hessians. Trenton’s 1,400 Hessian defenders were groggy from the previous evening’s festivities and underestimated the Patriot threat after months of decisive British victories throughout New York. Washington’s men quickly overwhelmed the Germans’ defenses, and by 9:30 a.m. the town was surrounded. Although several hundred Hessians escaped, nearly 1,000 were captured at the cost of only four American lives. However, because most of Washington’s army had failed to cross the Delaware, he was without adequate artillery or men and was forced to withdraw from the town. The victory was not particularly significant from a strategic point of view, but news of Washington’s initiative raised the spirits of the American colonists, who previously feared that the Continental Army was incapable of victory. The Battle of Trenton. December 25-26, 1776. Twenty eight minutes. Excellent video! I wonder if there is an analogy between tank destroyers and battlecruisers? Were tank destroyers used as if they were tanks by those not knowing any better like battlecruisers were used as if they were battleships, both suffering due to their lack of armor? I lived in Aquia Harbor for 15 years which is a development that sits on Aquia Creek in Stafford County, Va. My house was on a promonatory that overlooked the section of Aquia Creek where the little known Battle of Aquia Creek took place. Later in the war Burnside landed Troops at Aquia Creek Landing in preparation for the assault on Fredericksburg which is about 11 miles south. It was a great place to live for a civil war buff as it was not more than an hour's drive to battlefields like Fredericksburg, Spotsylvania Courthouse, the Wilderness, Manassis (Bull Run) etc and under two hours drive to battle sites on the Peninsula and around Richmond. Couldn't find a video with a human narrator. She mangles the pronunciation of Aquia which is more like Akwiya. I firmly believe that if Lee had the resources and troops that the north had, the south would have won because most of the southern commanders were already battle tested by the Mexican Wars. Furthermore, I do not think Lee would have engaged Union forces at Gettysburg. He would have flanked to the south and continued to Washington, thus placing the northern forces on the defensive and allowing Lee the option to determine when and where the battle would take place. No doubt the Union had much greater material resources. In fact, the southern states had almost no industrial base at all. However, at the beginning of the war virtually all army and corps commanders on both sides were veterans of the Mexican American War. "With the outbreak of war in April 1861, both sides faced the monumental task of organizing and equipping armies that far exceeded the prewar structure in size and complexity. The Federals maintained control of the Regular Army, and the Confederates initially created a Regular force, though in reality it was mostly on paper. Almost immediately, the North lost many of its officers to the South, including some of exceptional quality. Of 1,108 Regular Army officers serving as of 1 January 1861, 270 ultimately resigned to join the South. Only a few hundred of 15,135 enlisted men, however, left the ranks." "Much has been made of the West Point backgrounds of the men who ultimately dominated the senior leadership positions of both armies, but the graduates of military colleges were not prepared by such institutions to command divisions, corps, or armies. Moreover, though many leaders had some combat experience from the Mexican War era, very few had experience above the company or battery level in the peacetime years prior to 1861. As a result, the war was not initially conducted at any level by “professional officers” in today's terminology. Leaders became more professional through experience and at the cost of thousands of lives. General William T. Sherman would later note that the war did not enter its “professional stage” until 1863. By the time of the Overland Campaign, many officers, though varying in skill, were at least comfortable at commanding their formations." Another cut and paste snoozefest from kidnobrain. At the beginning of the civil war roughly 1/4 of serving regular army officers went to the confederate side. The rest remained in the Union Army. Given this ratio, it is likely that the Union Army had 3 times the number of Mexican American war veterans in it than did the Confederate Army. That number included General Winfield Scott who was the commanding general of the expedition into Mexico. V.M.I. played a large role as well. The Battle of New Market was fought on May 15, 1864, in Virginia during the Valley Campaigns of 1864 in the American Civil War. A makeshift Confederate army of 4,100 men, which included cadets from the Virginia Military Institute (VMI), defeated Union Major General Franz Sigel and his Army of the Shenandoah. The cadets were integral to the Confederate victory at New Market. If he'd only had AK-47's. It's actually a pretty fun read. Ha! Yes, some pretty wild twists and turns in this Turtledove epic, with some wild premises. Better than listening to Ed Dames wacko predictions, almost as good as Hoagland's version of science. Italian soldier on lookout at Ombrettola Pass, snow landscape, south of Monte Marmolada, Dolomites. Italian and Austro-Hungarian troops clashed at altitudes up to 12,000 feet (3,600 metres) with temperatures as low as -22°F (-30°C) in the Guerra Bianca, or White War, named for its wintry theatre. Never before had battles been waged on such towering peaks or in such frigid conditions. Due to the failure of his scouts to inform him of the current location of a second Federal Brigade, with an additional 3,000 troops, he found himself encircled. With cool judgment and prompt action, General Forrest replied, “We’ll charge them both ways.” The Confederates did charge in both directions, which resulted in confusing the Federals and forcing both Federal Brigades to take up defensive positions, thereby allowing General Forrest and his troops time to depart the area and return safely to their territory. 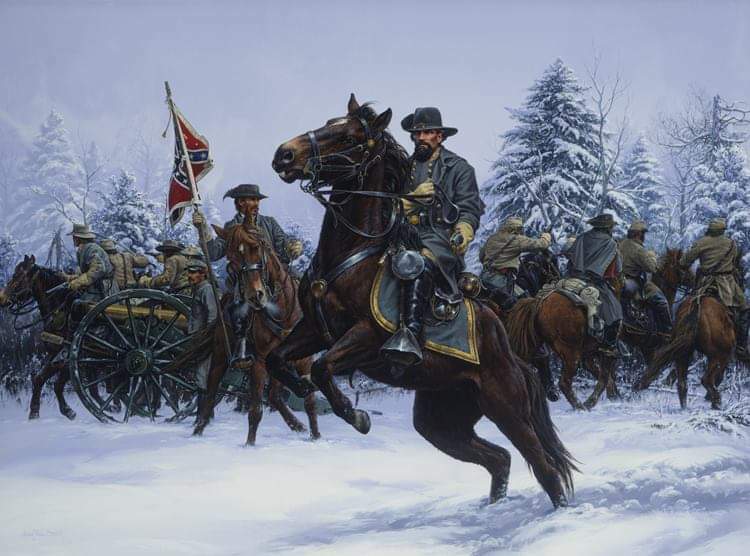 Confederate General Nathan Bedford Forrest narrowly escapes capture during a raid at Parker’s Crossroads in western Tennessee. Despite the close call, the raid was instrumental in forcing Union General Ulysses S. Grant to abandon his first attempt to capture Vicksburg, Mississippi. That place I think has more antique stores per capita than any other place and some neat old buildings.